By Spacejock Software. Windows. Free. Multiple scenes, sections and structural organisation, character and location profiles, POV and Storyboard views. Wordcount and track progress functions. Available here. For Mac OS and iOS – iPad. $59 / $10. Popular Mac and iPAD writing environment. Story development tools, storyboard with index cards, outliners; plot, character and setting sheets, manuscript and screenplay templates. Export to mobi or epub amongst other formats. Available here. Windows. 30 Day Free Trial, $35. Book organisation, notecard and storyboards, and compile to ARCs, PDF and epub formats. Available here. Windows and Mac OS desktop. Free limited function trails. $60. 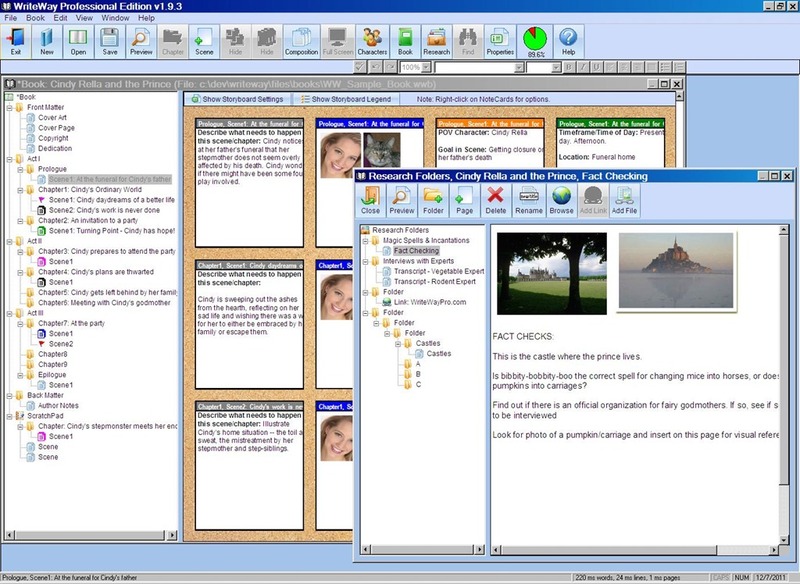 Book and story elements organisation, index cards / corkboard, timeline feature, full screen editor, snapshot function, export as RTF. 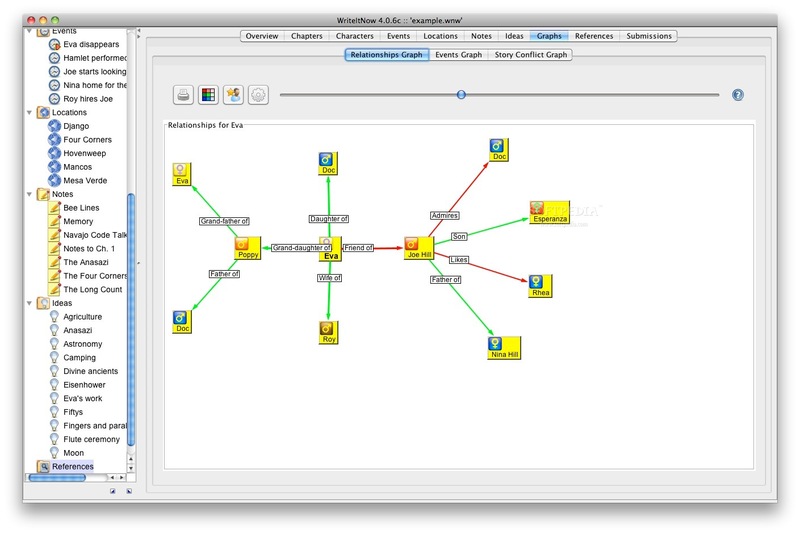 And an interesting floating mindmap function for character relationships. By Gorilla Film Production Software. Windows and Mac OS. Free trial. $80. 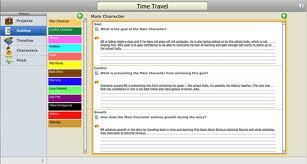 Story outliner, timeline, index cards, story development tools, and presentation (slideshow) modes. Print out a visualisation of the story in reports. Export to Final Draft and other screenwriting software formats, or to MS Word. Available here. Windows, Linux or Mac OS. Trial downloads, purchase for $40. Story development guide tool, a notebook, corkboard, research organizer, inspirational quotations, writing exercises, journal, pin-board and daily writing tips. Free opensource software, unsupported. Linux and Windows. Plotline structure, characters, locations, scenes, chart tools, task lists but no text editor / word processor functions. Note: older versions of Storybook are available to download from multiple sites if you search. The last commercial version – Storybook Pro, has been discontinued. By Software for Writing, for Windows. 45 day trial, $39. 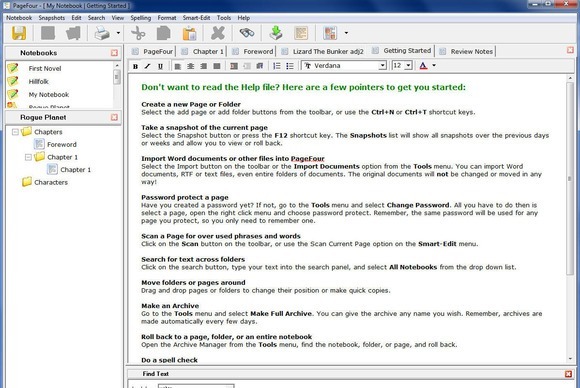 Outliner, tabbed word processor, organisation features. A structure around notebooks, with dictionary and snapshot backups of your work in progress. Black Obelisk Software. For Windows and can work on portable USB key, free trial, $46. Before Scrivener for Windows came out, LSB was my go-to fully-featured writing project organiser. 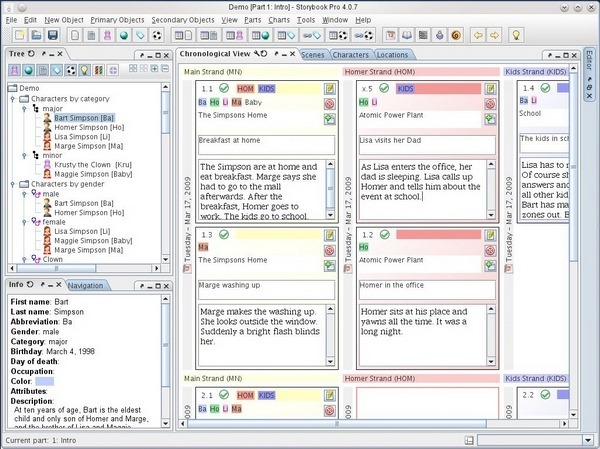 It contains basically everything that Scrivener did at the time and more – corkboards, writing editor, research folders, binders, character lists, collections, checklists, playlists, journals, timelines and mindmaps, and much more. Highly customisable (and sometimes complex) free-form rich-text based workspace. 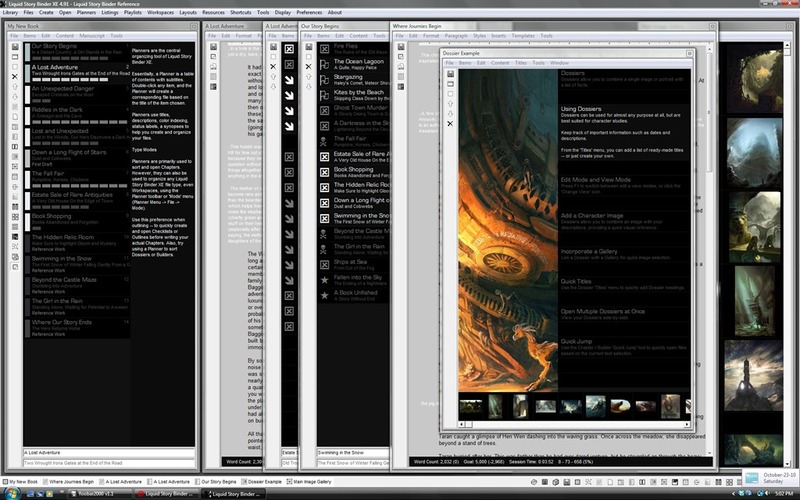 Since the arrival of Scrivener for Windows, Liquid Story Binder has ceased development, but is still available for sale, with Wikis and a user board still active in using the app. LSB is missing compile options, but can save to rich text. 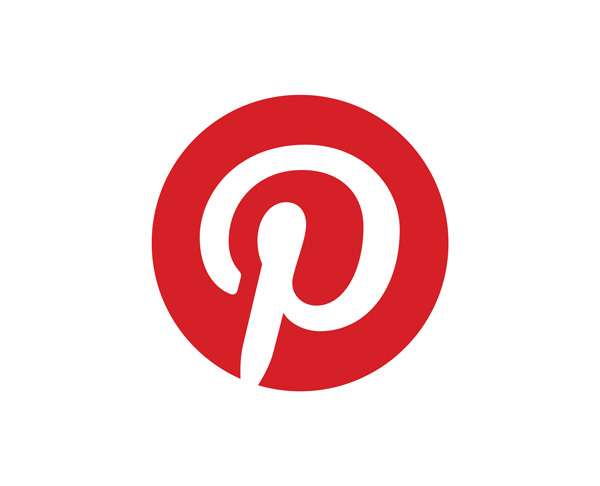 #26Tech: This was a supplemental post to the Favourite Writing App post for my A to Z challenge. Thanks you for this information. I like Scrivener, but it has a number of flaws and weaknesses. Last night it lost two hours of work. I’m looking for something else now. Manuskript (http://www.theologeek.ch/manuskript) is a new project that aims to be an open-source alternative to scrivener. Hello, I am currently using Scrivener, but I’m looking for something that has mind-mapping as well as timeline. I am currently considering Liquid Story Binder because it seems to have all the functions I need. It doesn’t bother me that it’s no longer in development or if there is no compile function. I’m mainly looking for something that is a good organisation tool that is reliable (no sudden crashes or errors). Could you tell me why you switched from Liquid Story Binder to Scrivener? Thanks in advance. It’s funny that you commented recently, because I just read of somebody else who was recommending LSB as an alternative. I used LSB for several years, and was reluctant at first to move over to Scrivener. And of course, at that time, LSB was the only Windows software which came close to what I had heard about Scrivener from Mac users. I am a Windows user, and on mobile, an IOS user, so this is one of my own main criteria for software selection. Scrivener offers hefty discounts through NaNoWriMo participants, and long trial periods on the full features of the product, which is how the Windows version was released at first, and when I first trialed using it. At that point, LSB stopped development, which was several years ago now. The User Interface stands as a bit of history. From memory it is missing some later day features such as internal hyperlinking within documents or browsing, and tagging systems, but if you are looking for a writing environment that is user customisable, then LSB would certainly remain a pick of mine. Learning LSB for me was as complicated as learning Scrivener, because of it’s many workspaces, but if you do go down that route, the help files on the website are helpful. Since then, Literature and Latte have brought out a freehand mindmapping app called Scapple, which integrates with Scrivener. 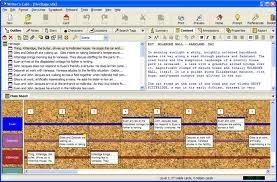 Scrivener is still lacking a rudimentary timeline that LSB has, but a compatible app called Aeon Timeline also integrates into Scrivener and offers many other features. Of course, all these different tools cost more money, which is a consideration for many people I know. 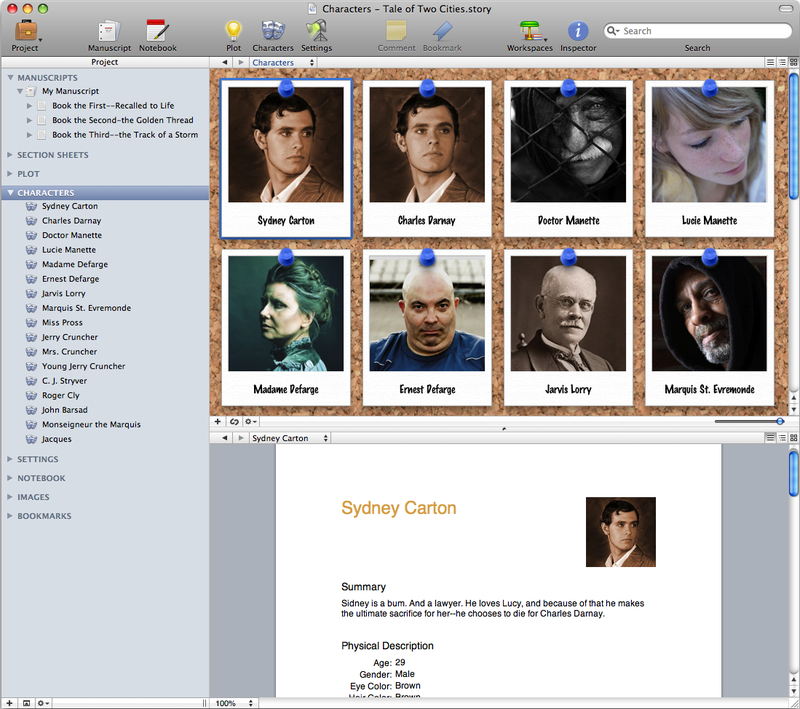 Right now, Scrivener is hitting the headlines again, because of the much-anticipated release of Scrivener for IOS. This app now takes me fully into mobile writing with sync back to my PC, and the Windows version is catching up with that of the Mac. I wish you all the best in your LSB usage also. I have been using Write it Now for almost two years. Very simple with a fair amount of features. I am using the last version, but it has never crashed and they only charge once to be used on multiple computers. I have been kicking around trying scriv, but I don’t really need to, I haven’t found a function I want that write it now doesn’t have. Good writing all. Thanks for this article. I have been using Scrivener for a year but now when I try to access my 80K word project Scrivener crashes, over and over. What’s most frustrating is that I can’t get any support from Scrivener and it’s been over a week since I reached out. Their automated responses note that they are overwhelmed with requests for help. Not great. I extracted my text in rich text format and will start with another program. I would think twice before investing in Scrivener!! !